Hawthorne & Heaney have been working on an interior sample collection, using fabrics from our friends and collegues, Dugdale Bros & Co Cloth Merchants. Founded in 1896, Dugdale’s are a British Heritage brand who are based in Huddersfield, Yorkshire has a very rich weaving industry, with its soft water providing perfect conditions to create the finest woven cloth. The cloth merchants are very passionate about their British roots, and pride themselves on providing high quality cloth to tailors and designers alike. 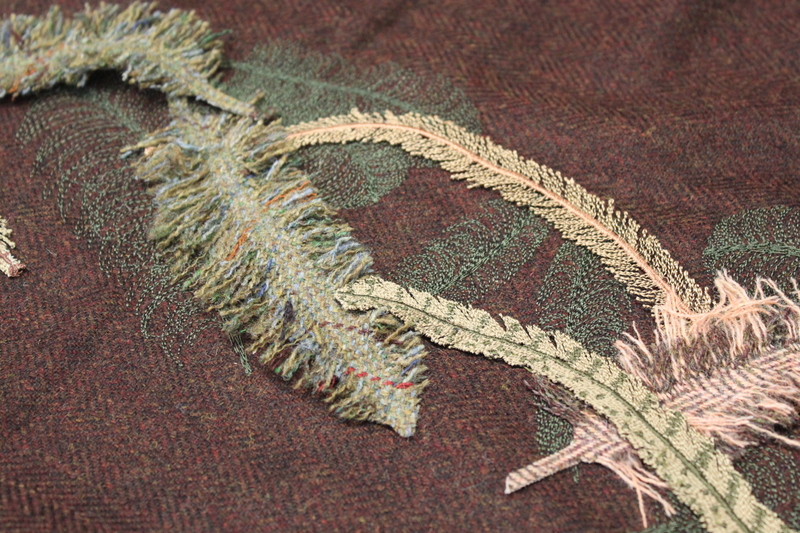 Our collection has been inspired by Dugdale Bros luxury cloth and focuses on integrating embroidery into woven fabrics, and consists mainly of CAD stitching. 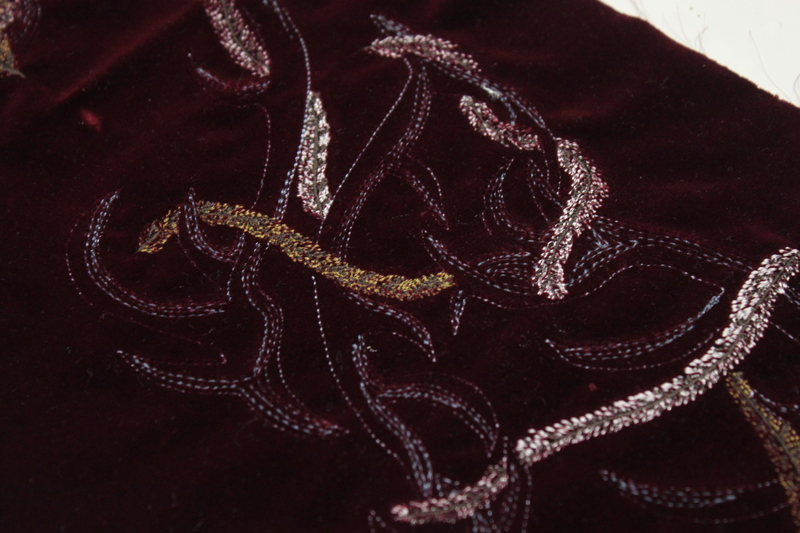 Using this combination of woollen and velvet has given the collection a unique quality, and allows similar designs to have entirely different effects. We have taken a lot of our influences from the British Countryside, providing the collection with a rustic feel which is echoed in the combination of rough textures and earthy colours. 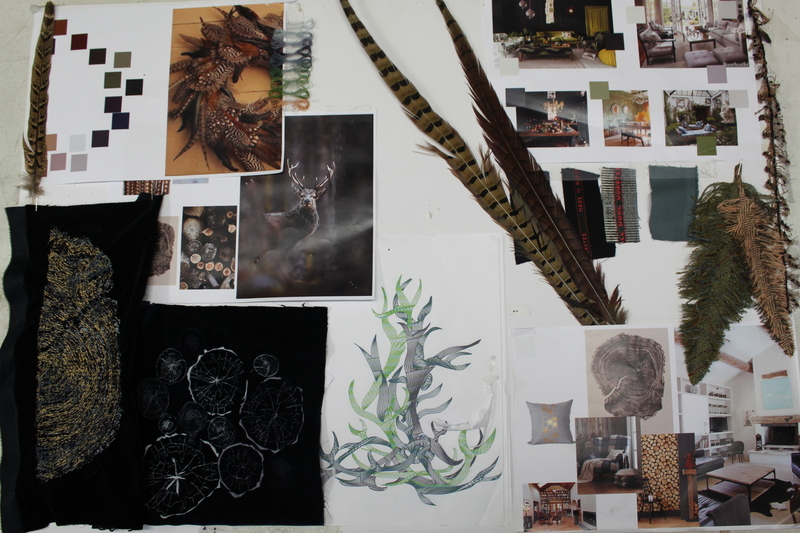 The main themes include phesant feathers, antlers and wood grain which can be seen on the mood board.